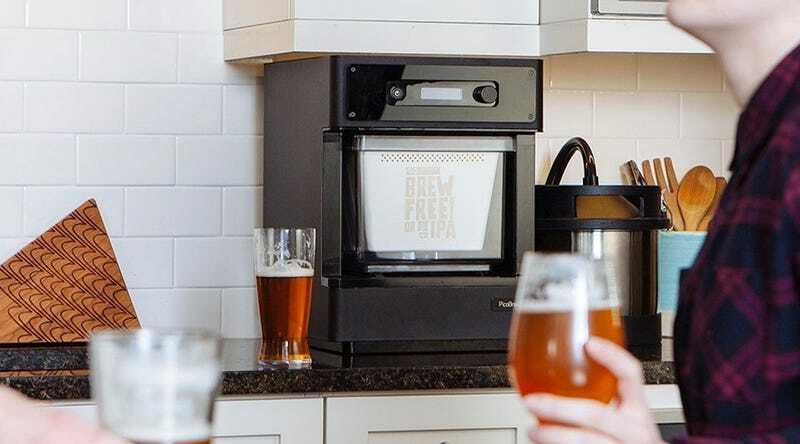 The PicoBrew PICO Model C is the smartest and fastest method of all-grain homebrewing that I’ve experienced in over ten-years of homebrewing, and Woot is selling it for just $200 today. That’s an all-time low by $50, and the previous best deal was on a refurb, whereas today’s is brand new. I’ve been entrusted with a PICO C long enough to run two PicoPaks through it, and the machine impressed me both times. It’s tempting to liken these ready-made ingredient pods to a Keurig-type system, but these are echelons higher on the tech scale. Each pack is filled with precise amounts of crushed grains, hops, and adjuncts to the specifications of dozens of breweries you are likely familiar with. And each PicoPak is coded so the machine can read and recognize it with an IR scanner. I started with a curated brew from Upslope Brewing Company. After getting the machine connected via WiFi, creating a PicoBrew account, I performed the initial clean cycle. Then I dumped some water in the system, twisted the knob, pressed a few buttons and started three hours of automated brewing. A week of fermentation and a week of conditioning later, I was able to pour myself and several friends beers for an evening. Since the system is mostly closed loop, the results were as good and consistent as promised, garnering compliments and some surprise. My second brew was a completely custom PicoPak I created as a mimic of a Vienna Lager recipe I’ve been homebrewing conventionally for a few years. It turned out remarkably close to my typical results. The machine even cleans itself, though you’re still responsible for the fermentation vessel and keg cleanup. If you need one more touch to push you over the edge, it is an excellent sous-vide cooker too. Let that steep a moment - the Picobrew PICO C makes amazing beer and steaks from the same device for just $200.